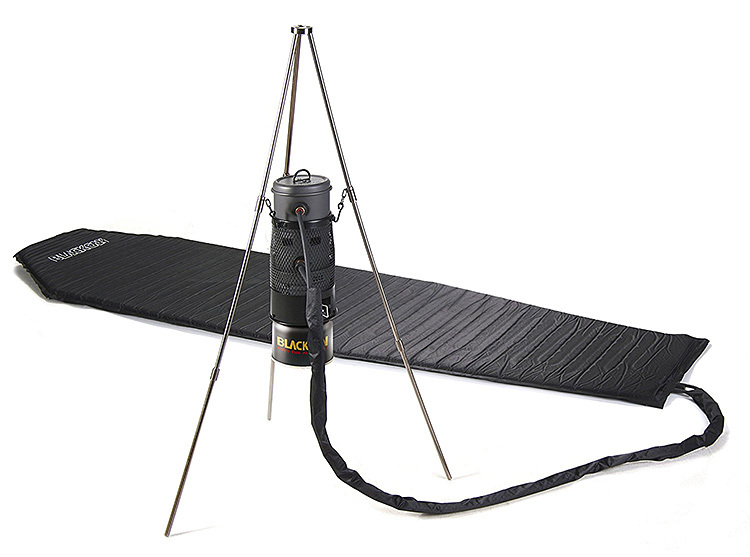 If you’re out there camping this time of year, the Blackcan Heat Camping Mat is going to sound amazing. It’s a self-filling sleeping pad with an automatic hot water heating system. 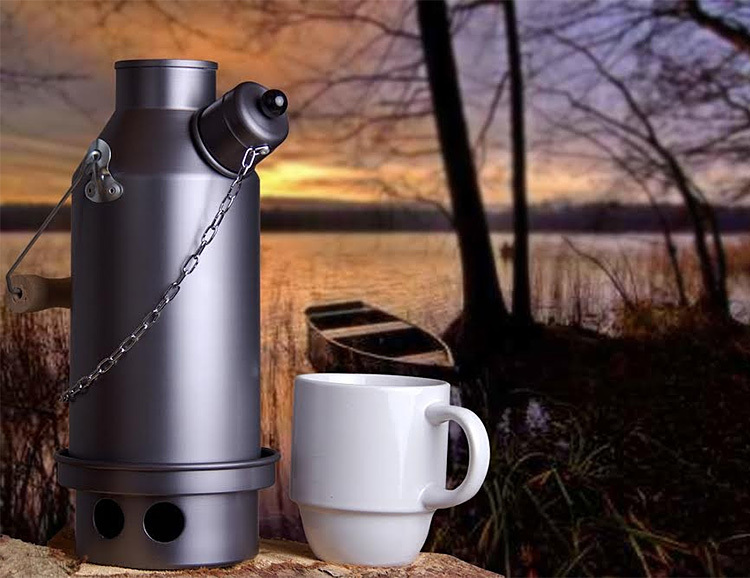 Using a butane camp fuel canister, it safely and automatically keeps you toasty warm while you sleep. A 230g canister will give you 10 hours of heat. 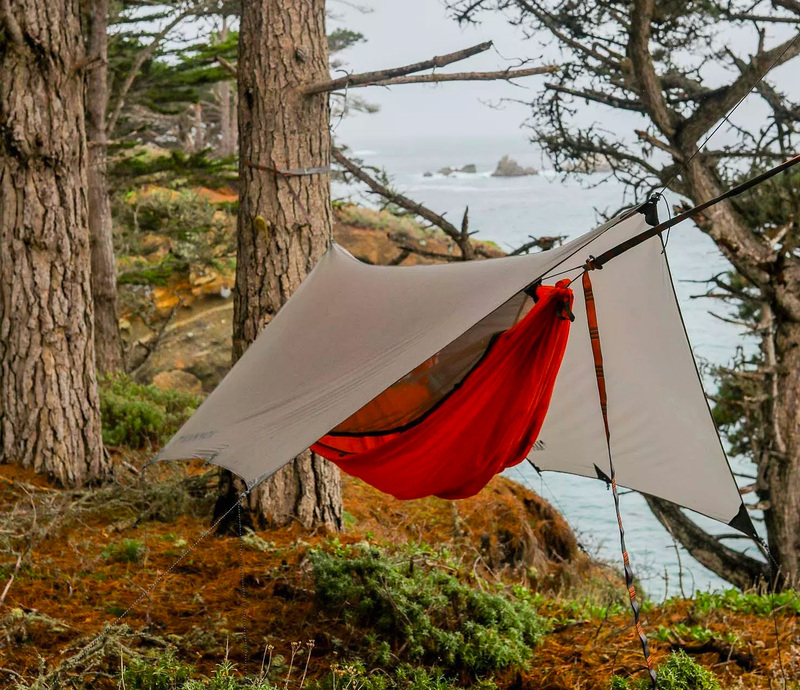 The all-in-one Mantis hammock tent from Kammok gives intrepid tree dwellers they need for camping up off the ground, all year round. 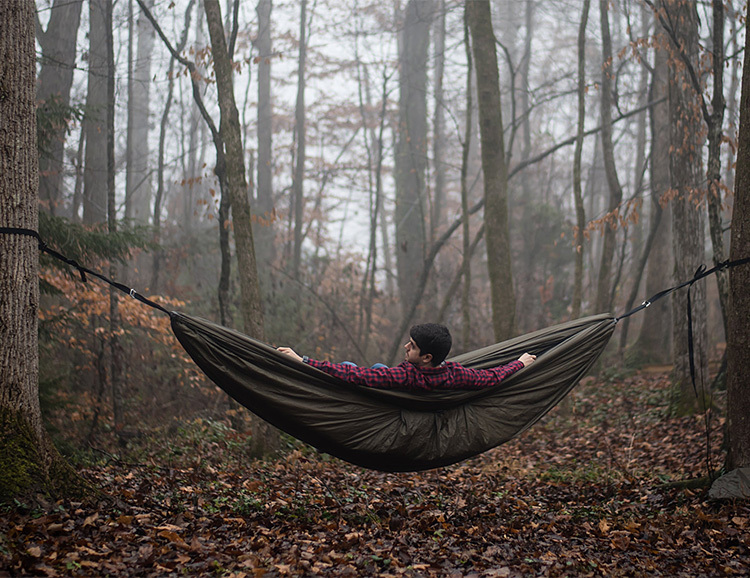 This lightweight versatile hammock is equipped with customizable features for every season: an insect net, rainfly, and a winter barrier. 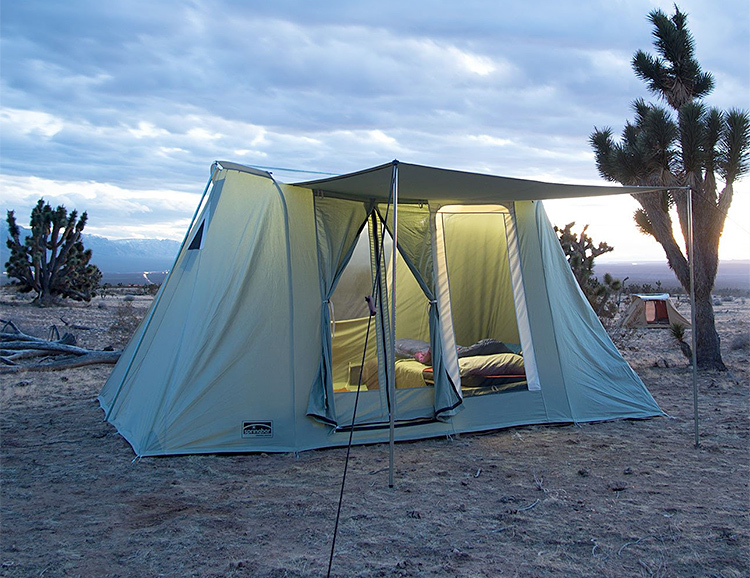 Smaller than your sleeping bag and lighter than a 1-person tent, it is designed to keep things light & fast for those minimalist strike missions or longer backpacking trips when every ounce of weight makes the difference. Another funded Kickstarter. 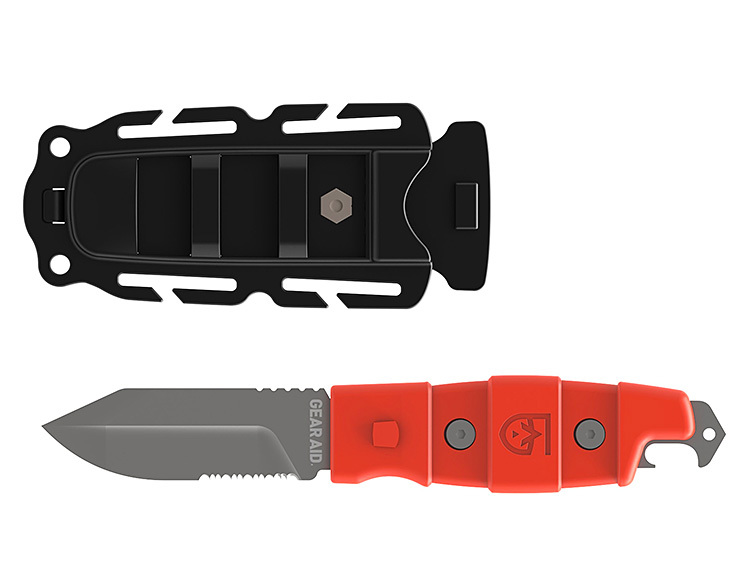 Gear Aid, a go-to care and repair outdoor brand just released a new fixed blade knife optimized for camping and everyday action. The Buri features a full tang, 3-inch drop point blade with both straight and serrated edges made with 420 stainless. It’s equipped with a bottle opener for obvious reasons and comes in a MOLLE-compatible sheath that has multiple attachment points, so you can keep it handy. It weighs just 5.5 ounces and comes in high-visibility orange and black. 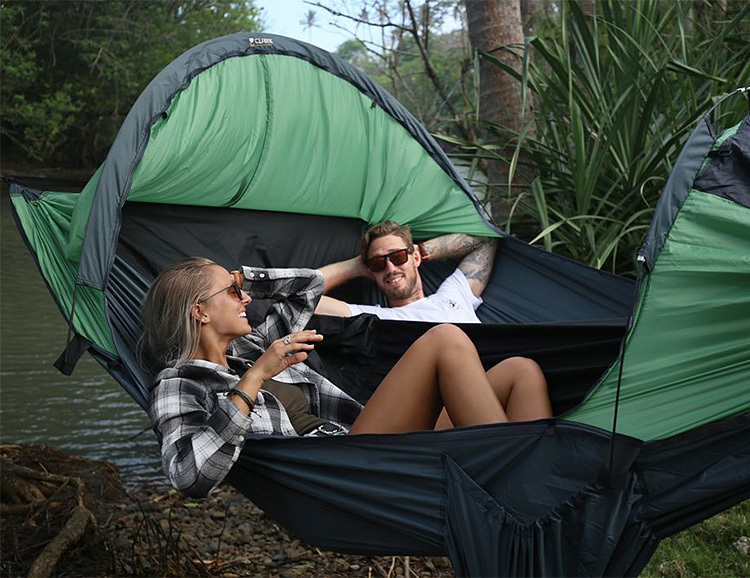 Designed to sleep two campers comfortably, the Vertex Double Person hammock from Clark Outdoor is built around a patented system that provides independent suspension for two beds in one enclosure. It features fully zippered no-see-um netting for easy entrance/exit from both sides, plus an insulating layer of breathable nylon for extra protection. A fully waterproof rain fly is sold separately. Designed to go anywhere & bring 300-lumens of bright, white LED light, the Cairn Rechargeable Lantern from Lander features a reflective nylon lanyard so you can hang it from anything. 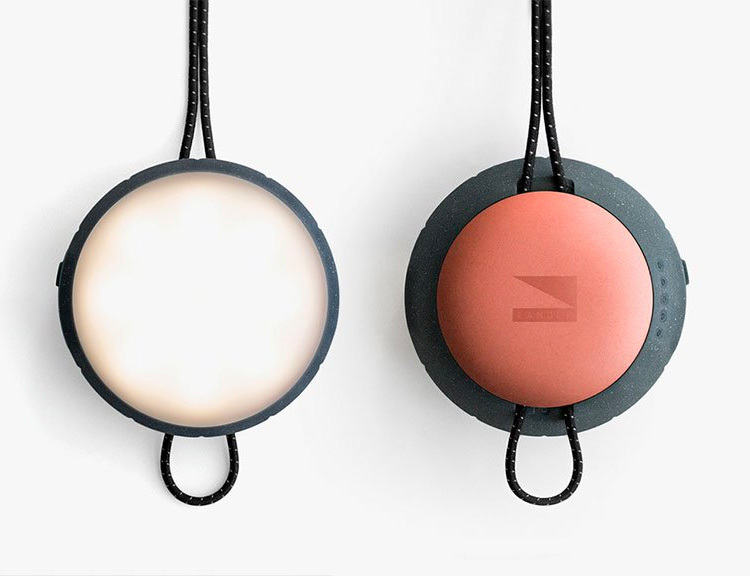 It has a IP65 waterproof rating, variable dimming mode, 40-hour battery life in low mode, and it recharges via USB. 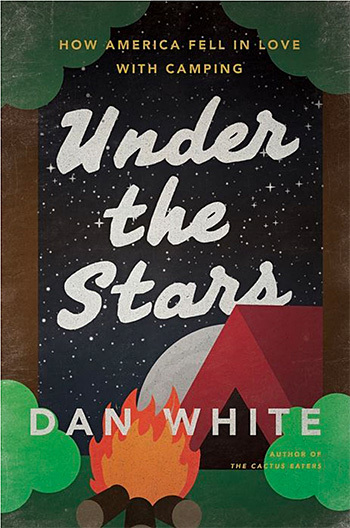 In addition to wide-ranging research, Author Dan White traveled across the nation experiencing camping in all sorts of settings to examine & animate the American evolution of outdoor recreation. 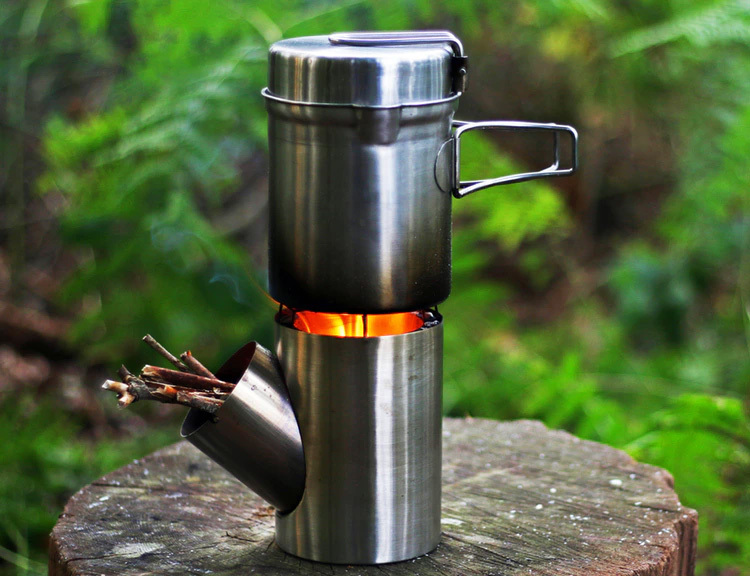 The Ghillie camping kettle has a hollow core that holds a small fire of twigs, leaves & other natural biomass fuels as well as the water you need boiled. Fill it with water, then build your fire inside and in 3-5 minutes you’ll be boiling. Nicknamed a “volcano kettle” the Ghillie was designed in the UK and is available in 3 sizes: .5-liter, 1-liter, & 1.5- liter. 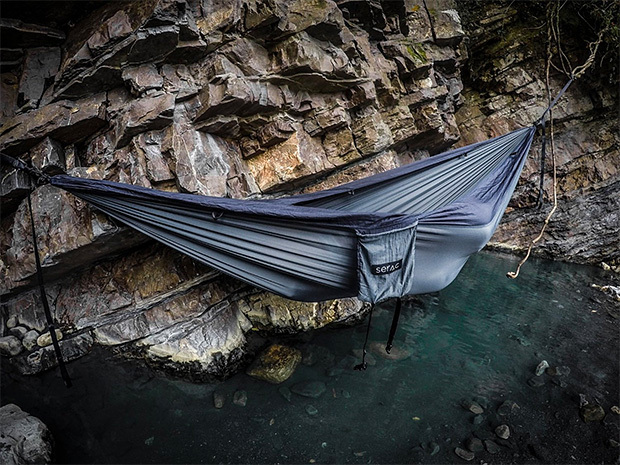 With this hammock, no trees are needed. 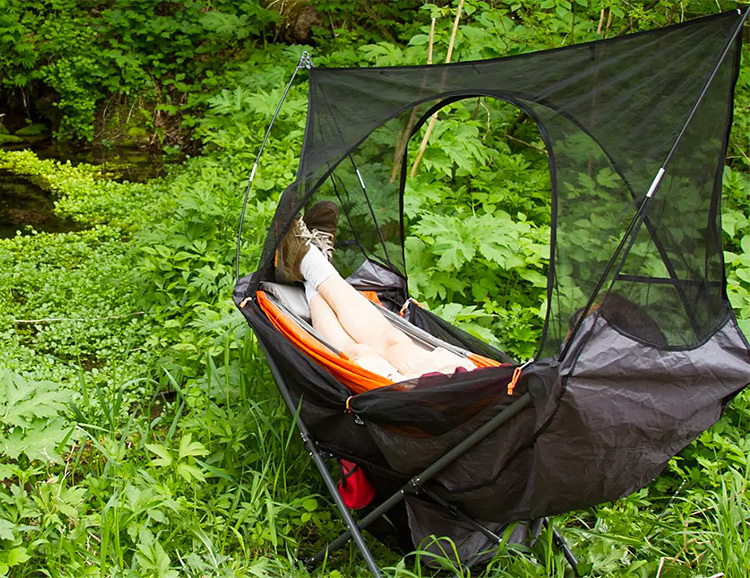 The Mock One folding hammock sets up easily and can even double as a legit overnight shelter, complete with mosquito mesh netting and a weatherproof rainfly. It will hold up to 250-pounds and accommodate people up to 6’5”. It weighs just 16-pounds, making it perfect for car-camping or bikepacking missions. 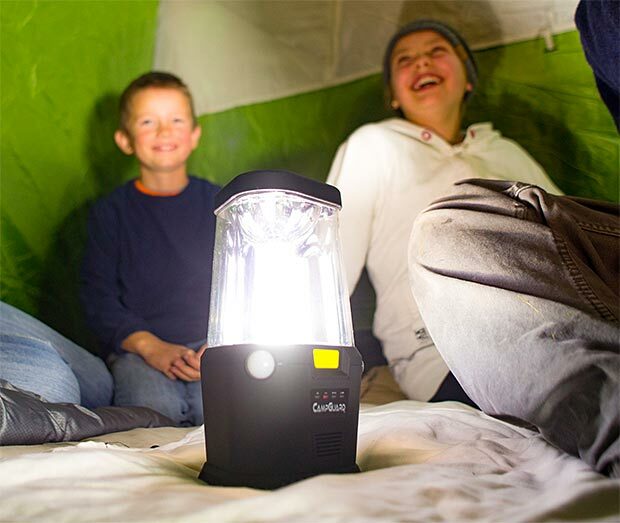 Whether it’s a bear on a midnight stroll through the campsite or something scarier—if that’s even possible—the CampGuard Perimeter Security lantern will immediately light up & alert you. The built-in 360º motion detectors are set with the push of a button, and when they sense movement the 300-lumen LEDs are triggered. After 15 seconds with no movement, the lantern turns back off automatically. When not in security mode, it functions as a normal LED camp lantern. 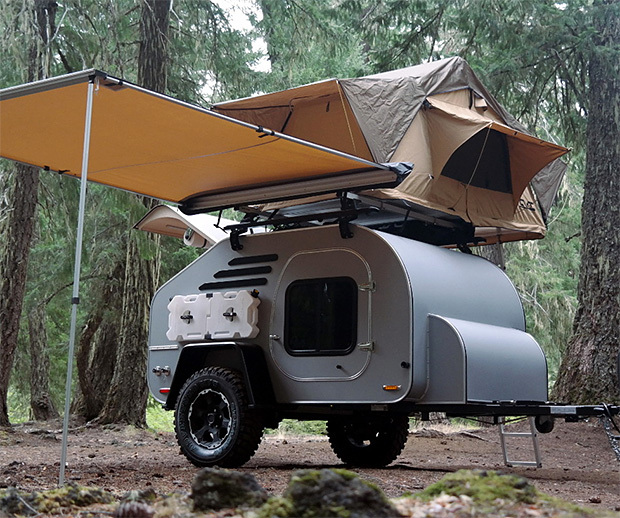 The teardrop camper design time-tested & proven but Oregon Trailer has created one made for legit off-road action. The built-to-order TerraDrop campers feature heavy duty off-road suspension & all-terrain tires with loads of options for customizing the kitchen, interior, cargo carriers, & extras like solar systems & roopftop tents. The doublewide Sequoia XL hammock is wider and longer than most and includes two 6-foot tree straps & aluminum carabiners for quick set-up. 10 anchor points allow you control height & slack while giving you maximum space in the hammock. The whole system stuffs neatly into an attached compression sack for easy portability. 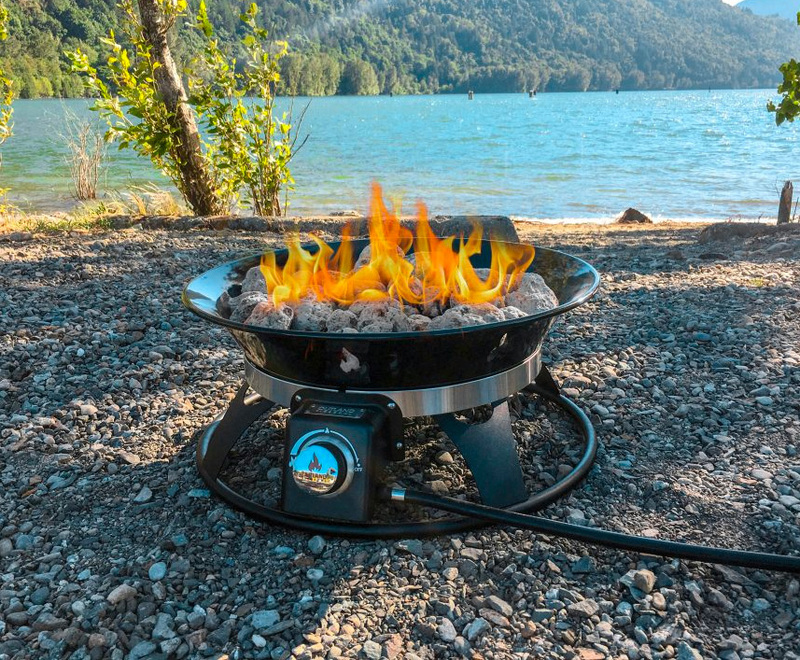 For camping, RV travels, tailgating, beach parties, and evenings in the backyard, this propane-powered fire pit from Cypress Outdoor heats things up nicely without having to deal with firewood, smoke, & ash. It is 21-inches in diameter and kicks out a bun-warming 58K BTUs. Comes with a cover and carry kit. Clean lines, super-functional design & stainless steel construction have made Solo Stoves’ firepits one of the most popular on the market. Now they’re offering the same great design in two new sizes. The portable-size Ranger model is 12.5” tall by 15” wide & weighs 15 pounds. Perfect for sunsets at the beach, hunting trips, or car camping missions. The Yukon is the big-boy backyard model. It’s 16” tall by 30” across. Another funded Kickstarter. 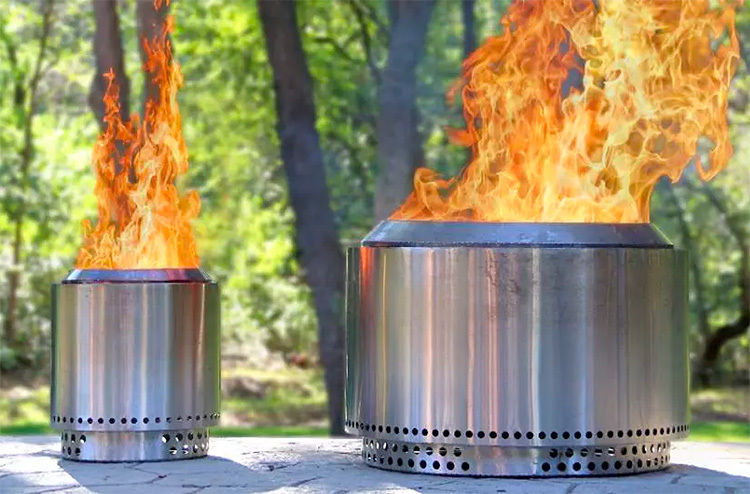 The Kombuis is a complete camping and travel cook set that contains a rocket-style wood burning stove plus a pot and a pan that also functions as a lid. Made of 304 stainless steel, the whole kit nests together for compact transport and weighs just over 2 pounds. A funded Kickstarter. 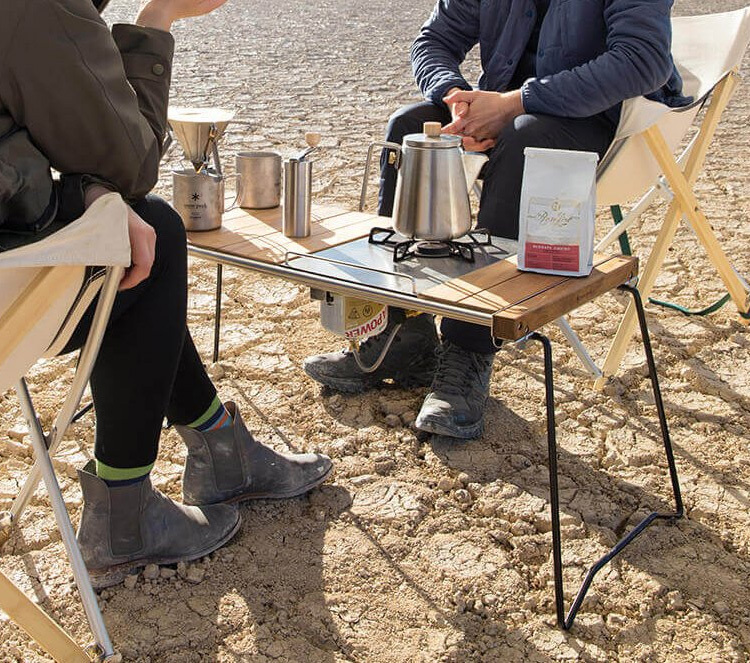 Snow Peak’s IGT Slim is a sturdy, stylish camp table that, even though it’s made for camping, is sharp enough to blend into your home decor if you need it to. It features a teak wood panel top that allows you to also use it as a cooking surface with the brand’s Iron Grills. It’s also collapsible and slim for easy transport & storage. 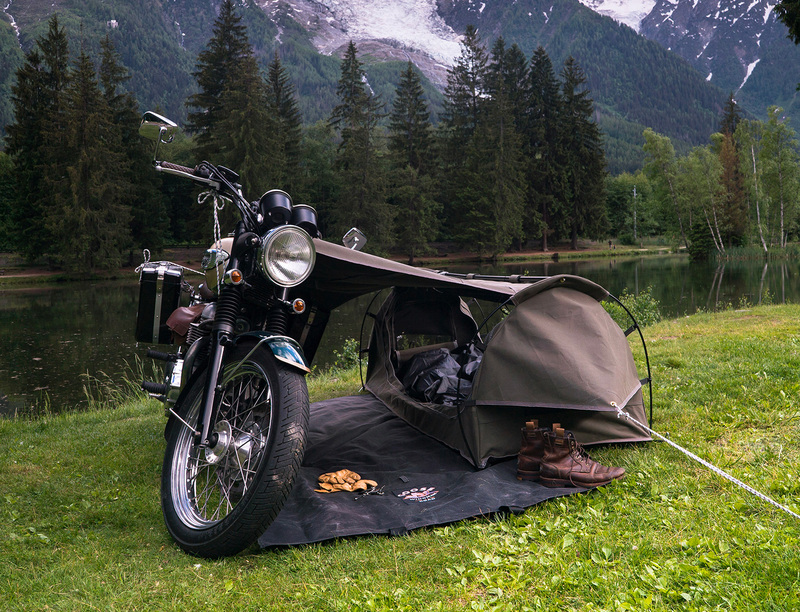 Since 1961, Springbar has been keeping campers comfortable with their spacious, high-roof canvas tents. Made with premium materials like Hardyduck canvas, galvanized steel poles & heavy-duty waterproof laminated vinyl floors, they’re watertight, breathable, & durable. 2 models are offered, a 10’X10’ 6-person & a 10’X14’ 8-person model, both designed for dad-friendly 1-person set-up. The Pop-Up Pit is big enough for a proper backyard blaze yet it packs down to smaller than a camp chair and weighs just 8 pounds. Perfect for car camping, beach fires, and evenings outside. 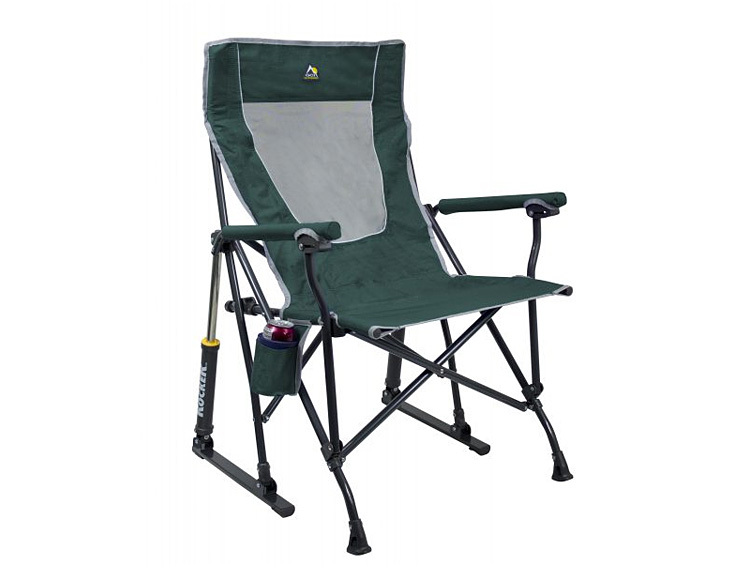 It measures 24″ x 24″ x 15″ when fully opened and is made of a lightweight rust-proof material. 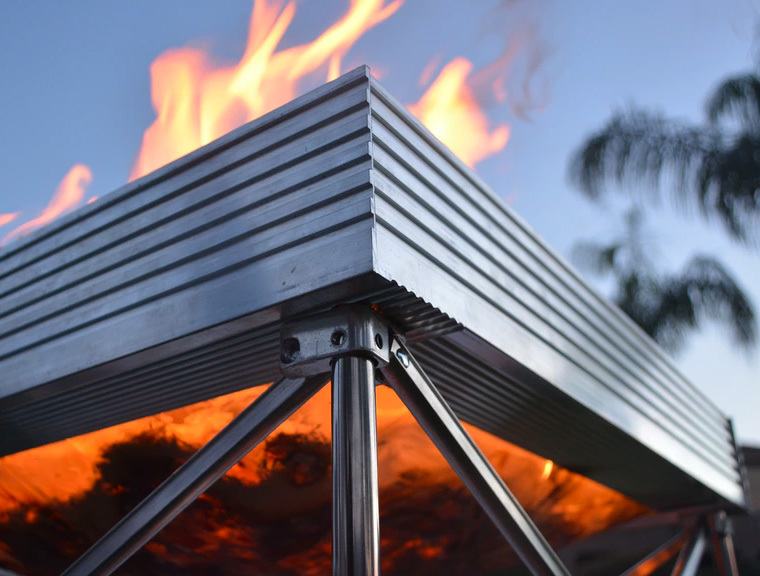 The Pit’s unique design allows for maximum airflow meaning your fires burn brighter with less smoke. A funded Kickstarter.